Density. Polymers. Magnetism. No, we’re not developing a high school science curriculum! These are just a few of the scientific concepts the experiments below illustrate. 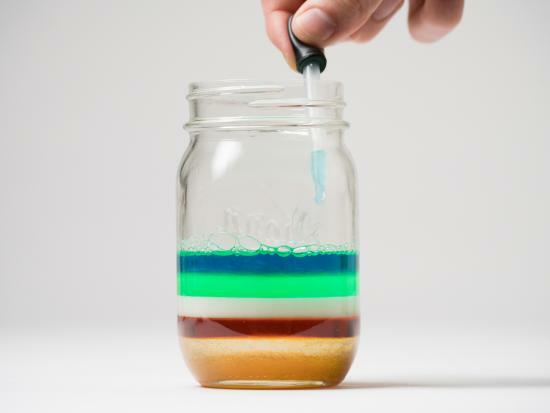 Everyone can participate in these easy, top-rated science experiments for kids. 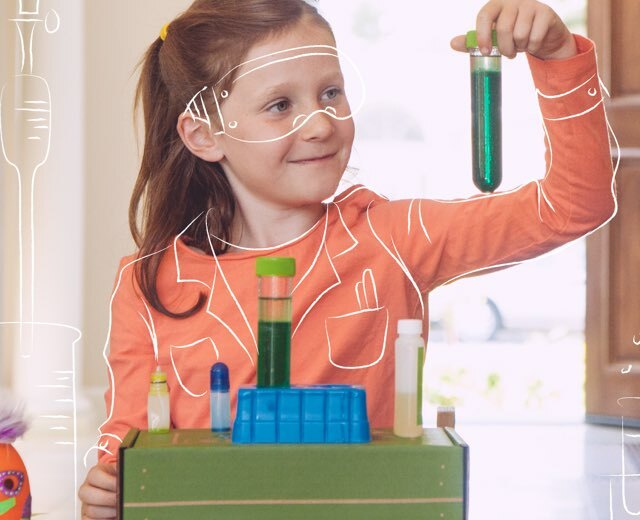 You just may have a budding scientist on your hands! Can you make a raw egg bounce? Turn a raw egg into a bouncy “rubber” egg with just one household ingredient! Bonus: what happens when you use a smaller egg, or add food coloring? Watch to find out! Density is a foundational concept in physics, which explains why boats float, rocks sink, and balloons fly away when you let them go! With just a few materials from home, you can conduct your own colorful density experiment, and see how this principle works firsthand. Check it out! Ever wonder how clouds work? Try this experiment at home to learn more about how real clouds work. For younger makers, we encourage parent supervision to help with the rubbing alcohol and popping of the cap. Did you know you can make your own bouncy balls at home? You can with this project that’s also a quick chemistry exploration in polymers. You’ll be jumping for joy right alongside your super awesome bouncy balls at the end of this experiment. Teach children the scientific method–and experiment with buoyancy – with this easy printable! Guess which objects will sink or float… then test your hypotheses! Kids draw their predictions, so even preschoolers can try. To get kids outside, do this experiment after collecting objects on a nature walk. Get outside and make your own volcano! With just a few household ingredients, create a (safe) explosion that looks like enough toothpaste for an elephant to brush with. (his project requires a grownup’s assistance, but all the items are safe to use. Why do the colors burst? The secret is in the tiny drop of dish soap. Have you ever wondered why cleaning a dish with soap is so much more effective than using just water? You can try this yourself by smearing some oil onto two identical plates. Give yourself just 30 seconds each to clean one with just water, and the second with water and dish soap. The one you clean with only water will probably still feel very oily, while the one you washed with soap feels much cleaner. Can you make a balloon inflate without using air? Sure you can! You just need to make carbon dioxide gas, which is easier than you think. When your vinegar and baking soda touch, get ready to watch the bubbly reaction! Is soda bad for your teeth? This simple-to-set-up experiment provides a clear answer. How does fire work? 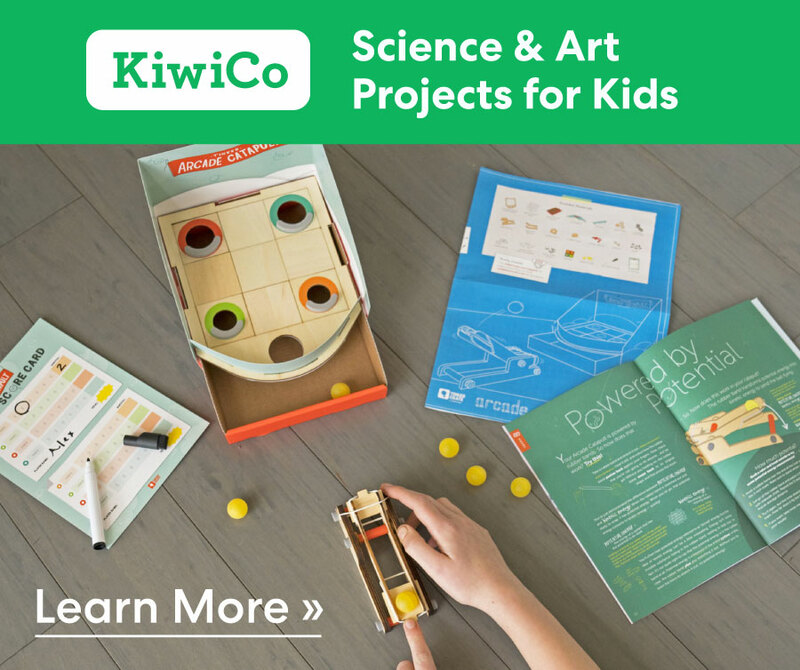 The KiwiCo Fire Lab chemistry kit contains everything you need to explore concepts such as combustion, oxidation, and capillary action. I cannot tell how much, of what, to do when, in the Volcano experiment just by watching the YouTube video. Can I get detailed instructions please? Great ideas for science projects, I like this post very much. So glad you enjoyed it Jenny! The video links are broken. Thank you for the note J Harp! We’ve updated the projects and the links.